The passing of Evelyn Elizabeth â€œEvieâ€ (Clark) Lyons, wife of Marvin Lyons of Doaktown, occurred on March 19, 2010 at the Dr. Everett Chalmers Regional Hospital in Fredericton. Born on April 4, 1944, she was a daughter of the late William and Audrey (Janes) Clark. Evie was a nurse at the Central New Brunswick Nursing Home until her retirement. 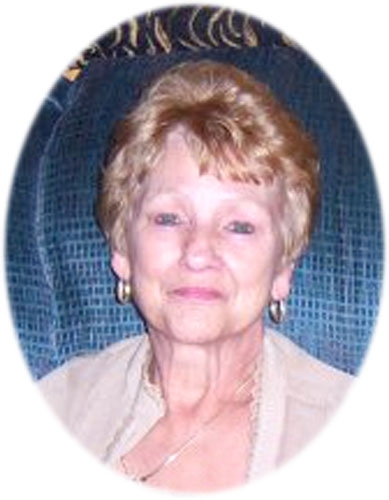 In addition to her husband, Evie is survived by one son, Tony (Juhu) of Midhurst, ON; three daughters, Trudy Donnelly (Selwyn) of South Carolina, Tessa Storey (Michael) of Storeytown, Tracy Beal (Todd) of Doaktown; 10 grandchildren, Wade, Jeremy, Kyle, Caylenne, Chad, Courtney, Alex, Rohan, Deven and Shaantum; one great-grandchild, Kassidy; three sisters, Gloria Shanks (Donald), Bonnie MacFarlane (Byron) both of Fredericton and Marianne Delwo (Ron) of Ottawa, ON; several nieces and nephews. Besides her parents, Evie was predeceased by one daughter, Katrina Phillips and one brother, Donald Clark.